There is always excitement when you hear the rumours that your team is on the verge of signing that 20-goal striker or the creative genius that will break down even the most stubborn of defences. That same excitement is not always there when that signing is actually new central defender or an experienced goalkeeper. In the eyes of the fans, attractive attacking football is always the goal to aspire to. Looking back through the ages, it is always the free-flowing flair of the Brazilians and the pass-and-move of the Barcelonas of this world that appeal to the casual fan. The solid, back-to-the-wall style of the Italians is hardly a style to set the pulse running. However, one only has to look at the trophies that the Italians have accrued both at club level and international level to suspect that there may be something in this style that breeds success. 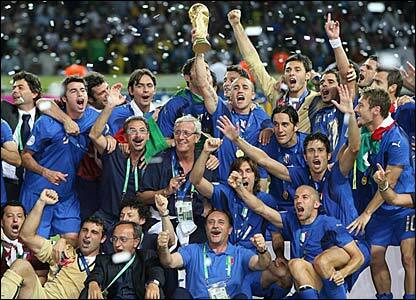 Their four World Cup titles are behind only Brazil and Germany, while the likes of Internazionale, AC Milan and Juventus are major players in the European game. There was an interesting quote from Chelsea’s Performance Director, Mike Forde, in a Financial Times column by Simon Kuper, where he states that there is a stronger correlation between clean sheets and overall finishing position than there is between goals scored and finishing position. Soccer by the Numbers and 5 Added Minutes have both looked into this. In the Premiership, on average, a clean sheet is worth between 2.6 and 2.7 points per game. Even conceding just one goal is still worth around 1.6 points per game. Of course, a clean sheet will always guarantee you at least one point, even if you fail to score. The interesting comparison is then in terms of attacking. Scoring three goals in a match is worth between 2.7 and 2.8 points per match, while scoring twice is worth around 2.3 points per match. In other words, in terms of points gained, which is the ultimate goal of a football team, a clean sheet is worth the equivalent of scoring almost three goals per match. This then raises the question of why strikers and attacking players are valued so much more highly than defenders and goalkeepers. There are a whole host of strikers that transfer for fees of over £15m – it is rare that a transfer window passes without at least five or more strikers moving for this size of fee. Even in the more economically challenged period that many clubs are going through, strikers still continue to be the most prized. 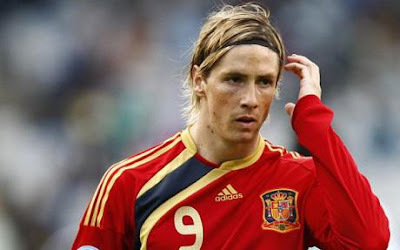 Since January 2011, we have seen Fernando Torres move for £50m, Andy Carroll for £35m, Darren Bent for £24m, Luis Suarez for £23m, Sergio Aguero for £38m, Edin Dzeko for £27m amongst others, and that is only in the Premiership. There are many similar fees throughout the major leagues in Europe. A Premiership team would not think twice about splashing out £10m plus for a striker. However, compare this with the transfer valuations of goalkeepers. Until Manchester United spent £18m on David De Gea in the summer, the previous record transfer fee paid for a keeper was the £9m that Sunderland spent on Craig Gordon. Indeed, there have only been four keepers transferred for over £10m in history. Goalkeepers generally do not begin to reach their peak until at least their mid-twenties. Naturally, there are exceptions, but those keepers who reach their peak young are rare. This is several years older than outfield players, but this is balanced by the fact that keepers can keep playing longer than outfield players. Indeed, keepers often produce some of their best form in the twilight of their career. 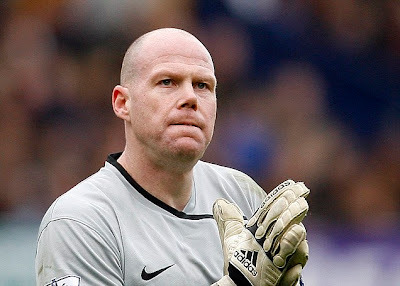 Looking around the Premiership, we see 40-year old Brad Friedel still producing the goods as Tottenham challenge for the title. Until he retired at the end of last season, 40-year old Edwin van der Sar was still widely recognised as one of the best keepers in the game. Mark Schwarzer continues to impress at the age of 39, while Jussi Jaaskelainen, Tim Howard, Shay Given, Paddy Kenny and Thomas Sorensen are all in their thirties. Signing a 25-year old striker could potentially lead to around five or so years of play at the very top level, before he begins to decline. In comparison, signing at 28-year old keeper could feasibly lead to ten years at least. It is no surprise that keepers tend not to move clubs often, especially compared with outfield players. Once a team has found their keeper, they do not want to lose them. Looking around Europe, many of the leading teams have had the same keeper for many years. In Spain, Iker Casillas and Victor Valdes have been at Real Madrid and Barcelona for years. In England, Petr Cech and Pepe Reina have been fixtures in their sides for five years plus. Once a team loses a top keeper, it is often difficult to replace them. After all these years, Arsenal have arguably still to replace David Seaman. It took Sir Alex Ferguson several attempts to replace Peter Schmeichel – the likes of Massimo Taibi, Mark Bosnich and Fabian Barthez all came and went without success. 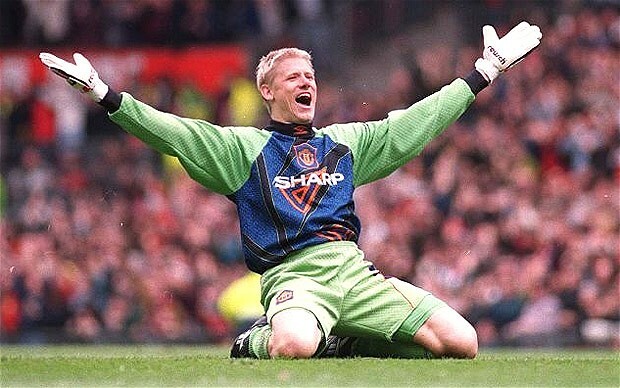 Thus far, the same problem seems to be happening trying to replace van der Sar. Naturally all managers and clubs look to spot the next big thing, before he is spotted by another club. Picking up a talent on the cheap and turning them into a star is not only economically sensible, but it also pleases the fans of the club. However, in terms of the goalkeeping position, there is an argument to suggest that spending big on proven talent is the more effective and efficient strategy. It is the one position where others cannot cover for the mistakes that you make. A mistake from a keeper will invariably lead to a goal. If an outfield player makes a mistake, there is generally a teammate around to mop up, or at least the keeper will provide an additional line of defence. Gambling on the keeper can cost a team an entire season. Many people have suggested that had Arsenal had a top quality keeper, they may have won several titles in the past five years – instead they have not won a trophy in almost six years. Arsene Wenger, for all his talent, appears to have resisted the urge to bring in a proven keeper. The likes of Manuel Almunia and Lukas Fabianski have made blunder after blunder, probably costing Arsenal silverware. When a leading keeper becomes available, teams should do everything in their power to snap them up. For example, had Manchester United signed Manuel Neuer, a proven top level international keeper, in the summer rather than taking a risk on David de Gea, a relatively unproven young keeper, they may well be top of the table and still in the FA Cup right now. 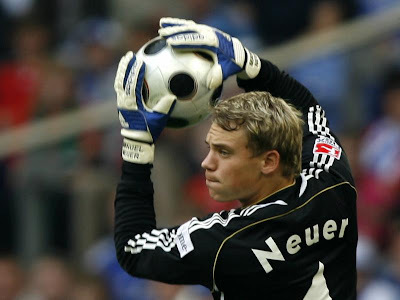 Instead, Neuer will probably be at Bayern Munich for at least the next five to ten years, while, unless de Gea can prove that he can be anything other than an expensive, but average, keeper, United may well be looking for a new keeper in the near future. There are not too many top keepers that might feasibly be on the market in the next couple of years. If they fail to make the Champions League, a top side might be able to tempt Pepe Reina away from Anfield, although he is unlikely to make the switch to Old Trafford. Lyon and France keeper, Hugo Lloris, could certainly be an option. While it would take a lot of money to prise him away, the expenditure would pay off over the next decade. Another option to keep an eye on is Borussia Monchengladbach’s Marc-Andre Ter Stegen. While he is still young, he is rapidly building a reputation in Germany and several well-respected experts have already suggested he is on a par with Neuer. However, the truth is that top keepers rarely come on the market. You cannot see Joe Hart leaving Manchester City, Petr Cech leaving Chelsea, Gigi Buffon leaving Juventus, Iker Casillas leaving Real Madrid or Manuel Neuer leaving Bayern Munich. Similarly Victor Valdes is settled at Barcelona as is Julio Cesar at Inter. These clubs would sell the majority of their players if a huge offer came in. However, the keepers are almost certainly not for sale. Not only because no club would offer huge money for a keeper. The real reason is because they are simply irreplaceable.